Shannon, 53, filed the divorce paperwork in Orange County Superior Court on Friday, Us Weekly reported. Shannon and David are divorcing after 17 years of marriage and welcoming three daughters together: Sophie, 15, and twins Stella and Adeline, 12. During a November 13 appearance on Watch What Happens Live With Andy Cohen, Shannon reportedly confessed she was having "good days and bad days" due to the split. Shannon first announced that she and David were parting ways in late October 2017. "After much thought and careful consideration, David and I have made the difficult decision to separate," Shannon had said in a media statement at the time. "We remain partners in parenthood and are committed to raising our three daughters. This is not the future we envisioned, and we kindly ask for privacy, especially for our children, during this transitional time." Shannon previously admitted to People that she was "crushed" by the breakup. "It's heartbreaking for me and my daughters that this is the road that had to be taken but it's the only way," the Bravo star told People in October. "I felt alone in my marriage. You can do what you can to keep your family together, but you have to have willing parties. You need two people to make a marriage work, and that just wasn't happening in our relationship." 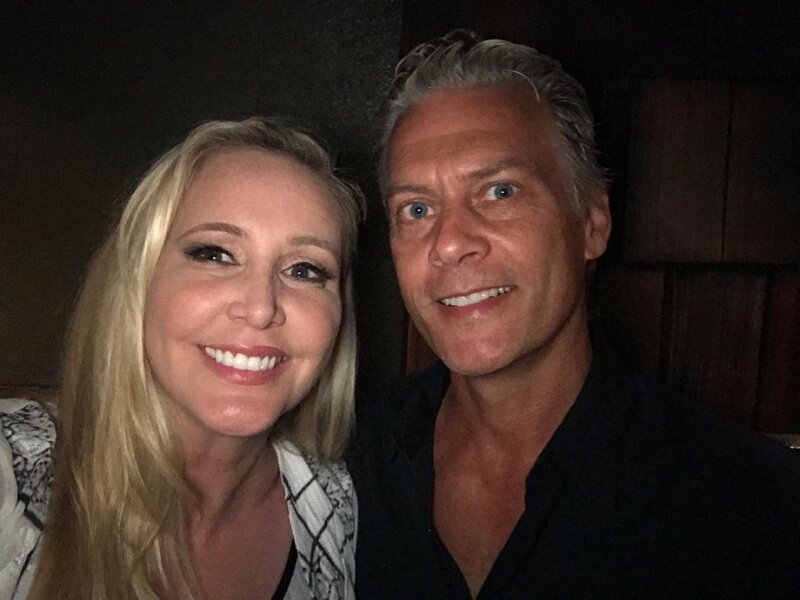 Shannon and David's tumultuous marriage has been documented on The Real Housewives of Orange County since she joined the cast back in 2014 for Season 9. Shannon revealed in Season 10 that David had been unfaithful, according to People, but then after spending some time in therapy, things were looking up and the pair actually renewed their wedding vows at the Inn at Rancho Santa Fe in California in Fall 2016. However, as shown on Season 11 of the series, Shannon's sudden weight gain due to stress caused tension in her marriage, and she alleged that David became increasingly more distant. Shannon found it difficult to go from dramatic highs to lows in her relationship over such a short period of time. The twelfth season of The Real Housewives of Orange County just wrapped in late November 2017.